Prime Minister Theresa May’s Brexit deal was crushed Tuesday in the biggest defeat for a sitting British government in modern history. After months of build-up, May’s plan for withdrawing Britain from the European Union was voted down 432 to 202, fomenting political uncertainty about the future of Britain, as well as May’s leadership. Senate confirmation hearings began Tuesday for William Barr, President Trump’s nominee for attorney general to replace Jeff Sessions. Barr served as attorney general for George H.W. Bush from 1991 to 1993. During that time, he was involved in the pardon of six Reagan officials for the Iran-Contra scandal and oversaw the opening of the Guantánamo Bay military prison, which was initially used to indefinitely detain Haitian asylum seekers. Barr also openly backed mass incarceration at home and helped develop a secret Drug Enforcement Administration program which became a “blueprint” for the National Security Agency’s mass phone surveillance effort. But on Tuesday, senators asked few questions about Barr’s past record while focusing heavily on his views about special counsel Robert Mueller’s probe into Russian meddling in the 2016 election. Barr’s history is examined with David Cole, national legal director of the American Civil Liberties Union. His recent article for the ACLU is titled “No Relief: William Barr Is as Bad as Jeff Sessions—if Not Worse.” Kristen Clarke is the president and executive director of the Lawyers’ Committee for Civil Rights Under Law. A federal judge in New York City has ruled against the Trump administration’s decision to put a citizenship question on the census. In a lengthy opinion, U.S. District Judge Jesse Furman wrote that in deciding to add a citizenship question to the census, U.S. Commerce Secretary Wilbur Ross violated a “veritable smorgasbord” of federal rules and “alternately ignored, cherry-picked, or badly misconstrued the evidence in the record before him.” Ross announced the citizenship question in March, touting it as a way to enforce the Voting Rights Act and protect minorities against voter discrimination. Voting rights activists feared the question would deter immigrants from participating in the census, leading to a vast undercount in states with large immigrant communities. That could impact everything from the redrawing of congressional maps to the allocation of federal funding. David Cole is the national legal director of the American Civil Liberties Union, which challenged the addition of the citizenship question. She narrowly survived the vote of no confidence as expected. I’m worried about what will happen next. We should really seek to delay Article 50 to avoid the ever-approaching spectre of no deal. 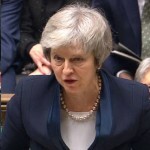 However, May is somewhat obliged to pander to the extremists in her own party – Johnson and Rees-Mogg being the most troubling examples of that – and to the DUP, without whom the Tories would be a minority government. The disaster of a no-deal Brexit, or indeed a Tory Brexit of almost any quality, is worsened by the gradually increasing numbers of people in poverty – in large part thanks to the poorly-named Universal Credit. Leave supporters think things will get better after Brexit, but I’ve seen no evidence of that; and for ordinary people, I have a strong suspicion that leaving the EU will simply mean the current government can make life even worse, unencumbered by regulatory standards that might sound restrictive but are actually often sensible and necessary to holding back rampant capitalism. The EU may have its faults, but our prospects outside it are anything but bright.